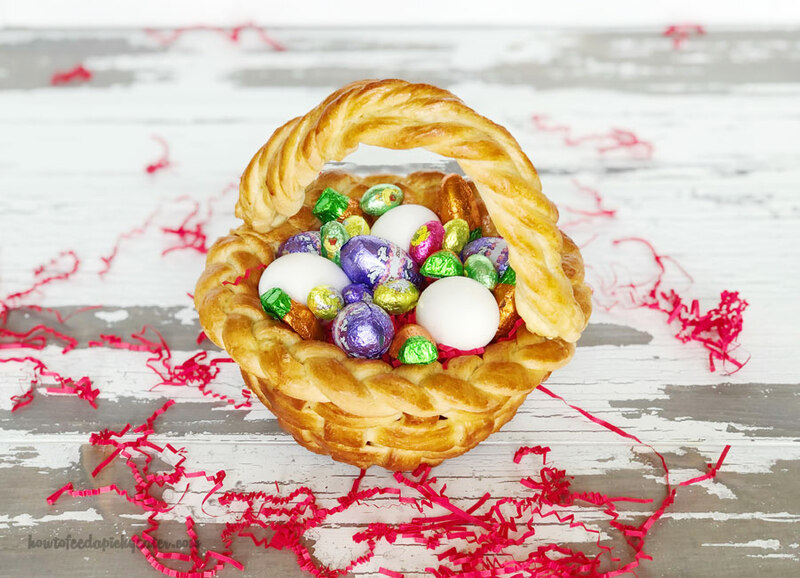 A baked Easter Basket will be an incredible decoration for the holiday table. In a few days we will celebrate Easter 2019! Every year this holiday is more and more anticipated in our family. My favorite part is the preparations. I just love to fill colorful plastic eggs with sweet treats for kids. The kids and I then color the real eggs together for egg hunting in our back yard. This year I decided to do a little more. 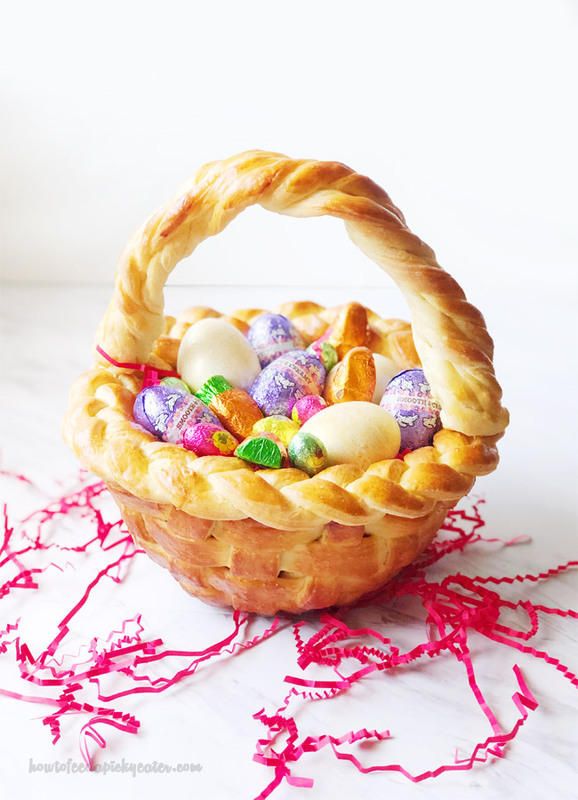 I baked a basket from dough where I will put some eggs and sweet treats for Easter breakfast. 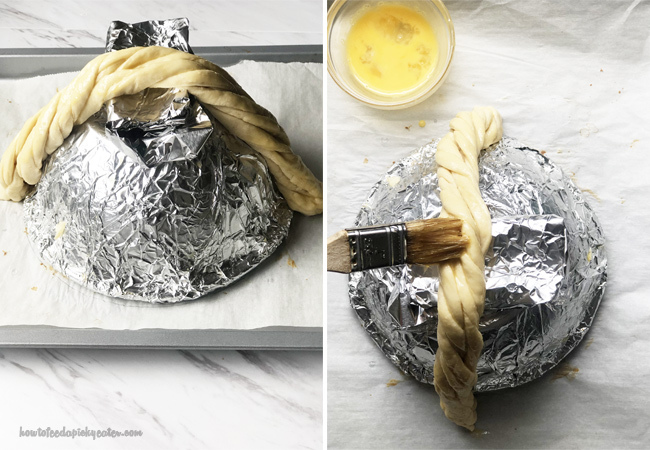 The process of making a baked Easter basket is very easy, it just takes a little bit of time. First, we make a basic yeast dough. Then we’ll make a basket from three separate piece. We then bake them and, finally, put everything together. 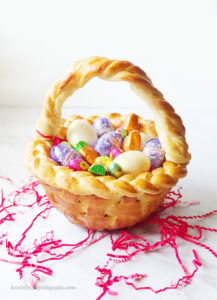 I encourage you to make this baked Easter basket and I promise you that kids and adults alike will admire your work! In a large bowl mix together warm milk , warm water, sugar, salt, vegetable oil and 1 egg. In a different bowl mix together 400 g sifted flour and dry yeast. 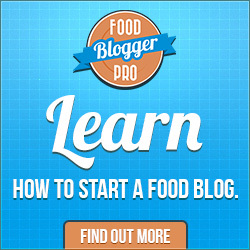 (Start with only 400 g of flour, then add more as needed). 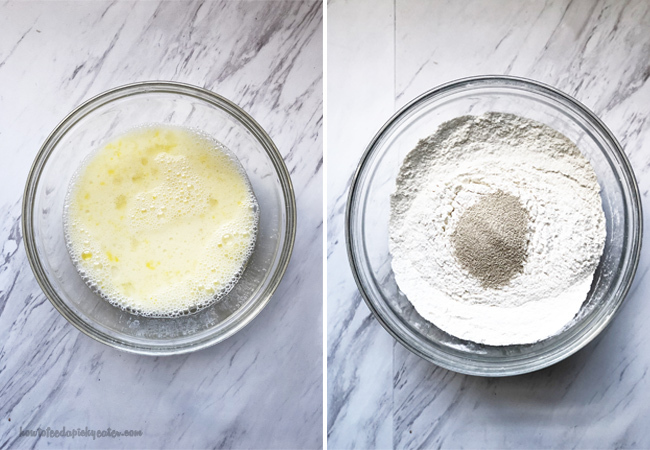 Add wet ingredients to the dry and start to mix together with a spoon. 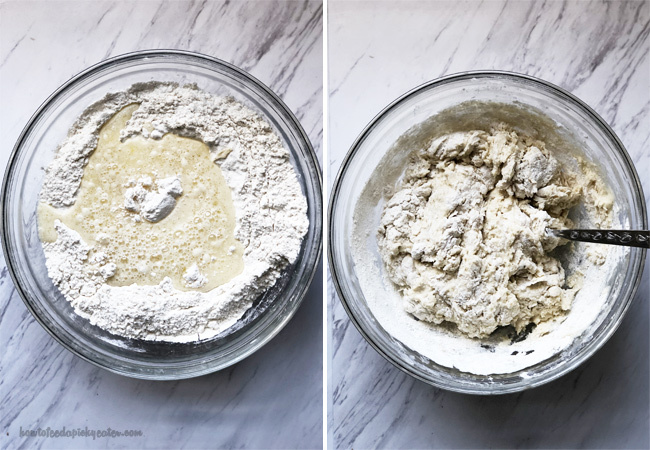 When mixing with a spoon becomes hard, transfer the dough to the work surface and keep kneading the dough with your hands. Knead the dough until it stops sticking to your hands. 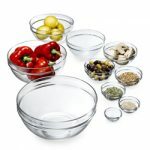 Coat the bowl with a little bit of vegetable oil and transfer the dough in to it. 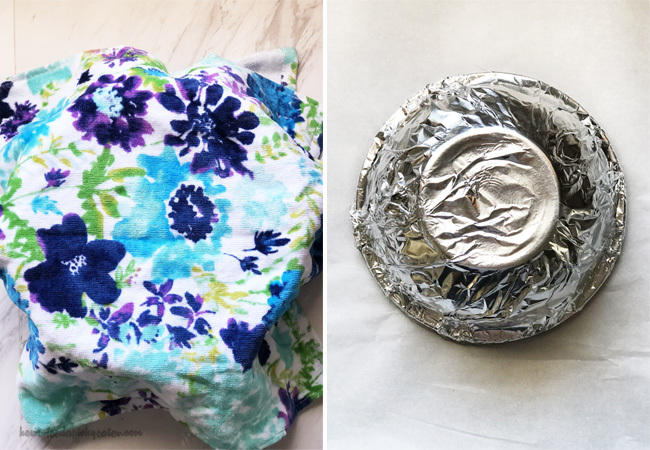 Cover with a kitchen towel and set aside for an hour in a warm and quiet place. Take a heat resistant bowl or a small pan and cover it with an foil on the outside, this will be a base for our future basket. Place your bowl upside down on parchment paper. Draw a line around the bowl. 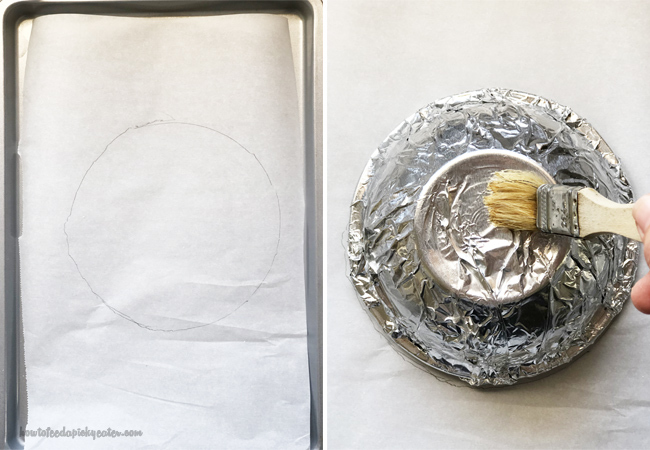 Then brush some vegetable oil on the outside of the aluminum foil bowl. 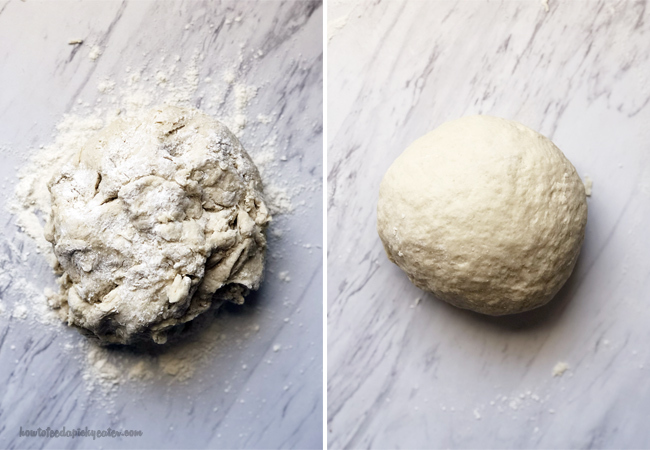 When the dough is doubled in size, knead it for a minute and divided in to two pieces. Roll out one of the pieces to about 1/8’’ thick and cut it into 3/4’’ wide stripes. Place the other half of the dough back into the bowl and cover with a kitchen towel. 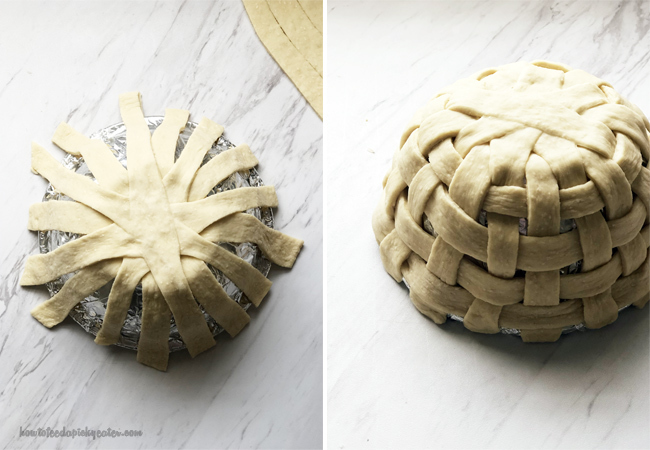 You need to lay out 8 dough stripes one on top of another, on top of the bowl. 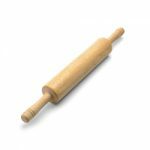 Cut the ends and press down the middle so that there isn’t knoll after baking. 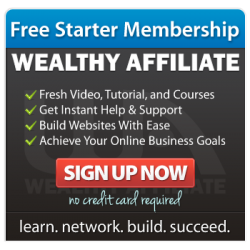 Take a new dough strip and weave it perpendicularly through the other 8. Bring the ninth strip over the first strip, under the second, over the third, under the fourth and so on. Weave 3-4 more strips (depending on the size of your bowl) in this manner, making sure that they are parallel to the ninth strip. Brush the basket with a beaten egg and bake at 350 degrees for 25-30 minutes. After the basket is baked and still hot, wet it with a little bit of water, cover with a kitchen towel and let it cool down completely. 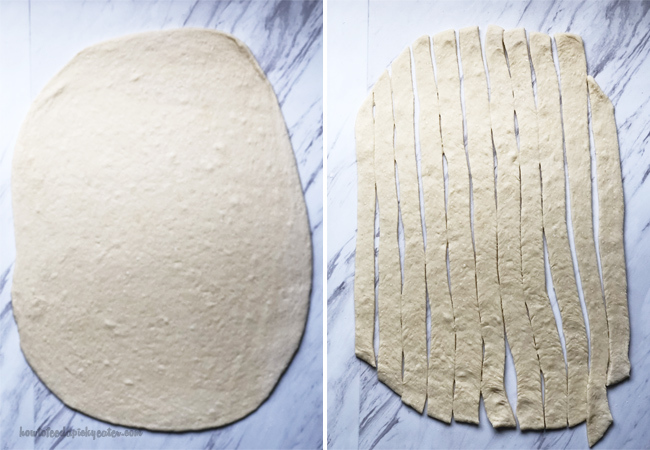 Roll out the other half of the dough and cut it in stripes. Take three stripes, join the ends and braid the braid. Then take the braid and lay it out in the shape of circle that we made in the beginning. If one braid is not enough, then braid another one and hold the two together. 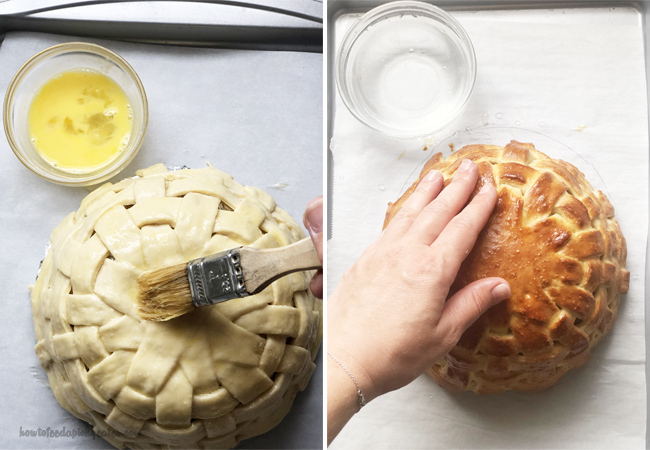 Brush the braid with a beaten egg and bake at 350 degrees for 20-25 minutes. 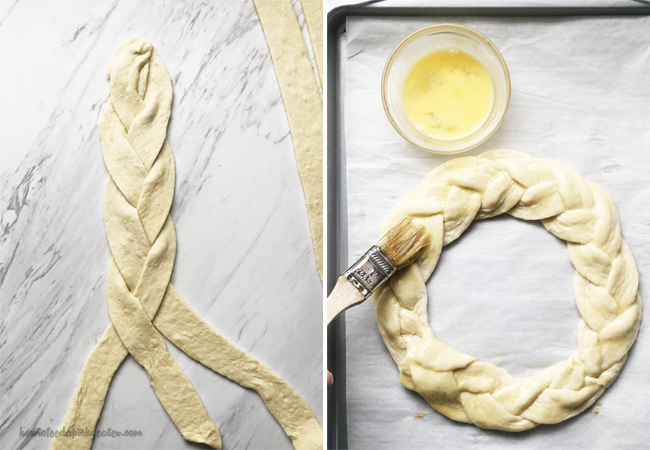 After the braid is baked and still hot, wet it with a little bit of water, cover with a kitchen towel and let it cool down completely. 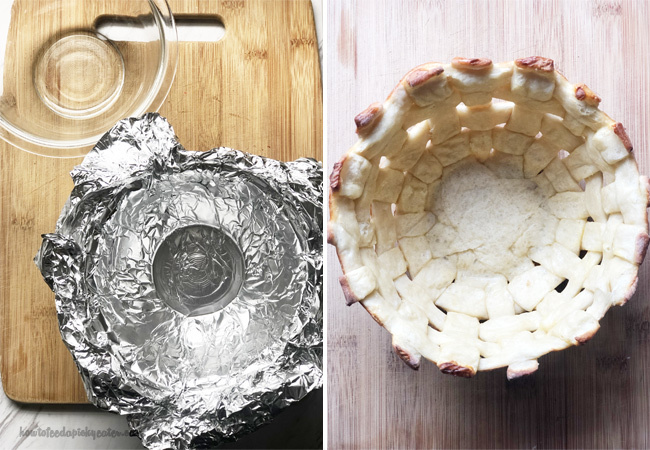 When the basket is completely cooled down, take off the bowl, then take out the aluminum foil. 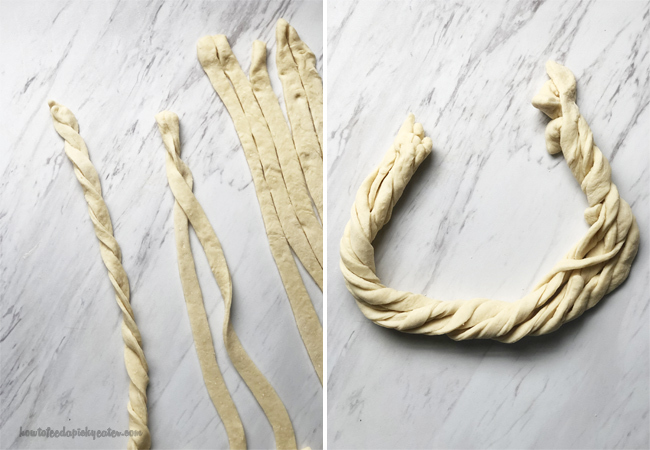 Roll out the rest of the dough and cut it into stripes. Take two stripes at a time and twist together. Then take all the twisted stripes and twist them together. 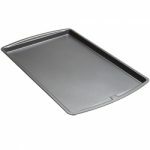 Recover the bowl with aluminum foil and place the twisted strip on top forming the handle of our basket. You may put the folded aluminum paper in the middle of the handle to make it proportional to the basket (optional). Brush the handle with beaten egg and bake at 350 degrees for 20-25 minutes. After the handle is baked and still hot, wet it with a little bit of water, cover with a kitchen towel and let it cool down completely. When all the pieces of the basket are cool down, we can proceed to the assembly. 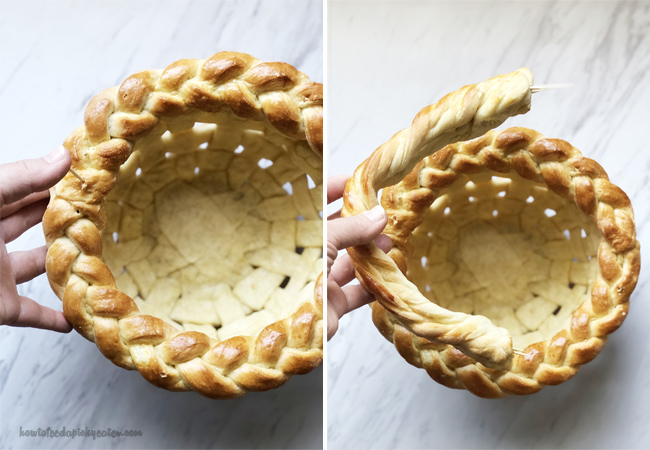 Using toothpicks attach the braid to the basket in several places. Then insert two toothpicks on each side of the handle and attached it to the basket. That is it! Our Baked Easter Basket is ready! REMEMBER, that it is just a decorative basket and you CANNOT pick it up using the handle! Specially when it’s full of eggs and candies. Store the basket as you store your bread. I store it in a closed plastic container for 2-3 days. 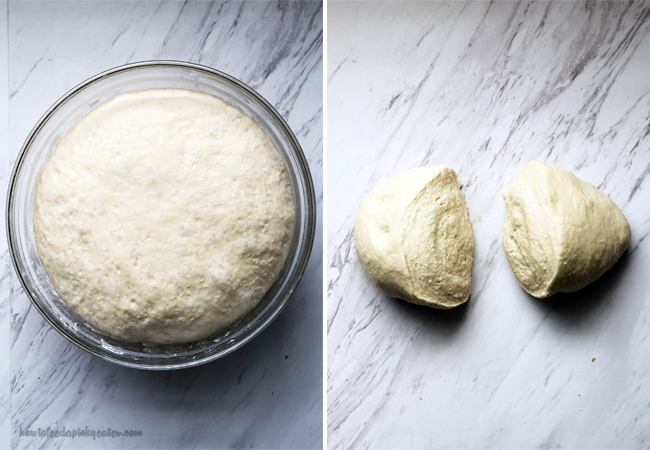 You can use the same dough recipe to make pizza. In a large bowl mix together warm milk, warm water, sugar, salt, vegetable oil and 1 egg. In a different bowl mix together 400 g sifted flour and dry yeast. (Start with only 400 g of flour, then add more as needed).